The Estonian name, hundinui, meaning wolf club, probably is a folk name from the colour of the inflorescence; the spike is blackish-brown – wolf-coloured. The plant has female and male flowers separately: the female spike keeps well; the male flowers grow in a spike too, but thinner and paler and they perish after the pollination. The spikes make the bulrush noticeable and ornamental. 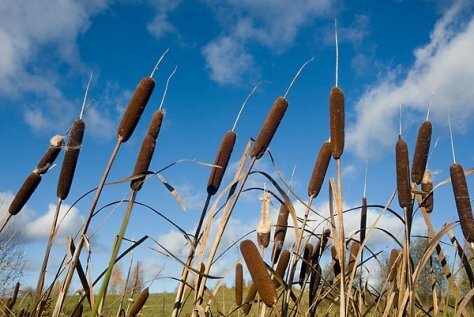 Two bulrush species grow in Estonia. The lesser bulrush has up to a centimetre broad leaves, narrower spikes and is lower. One bulrush spike may have more than a million very tiny seeds – there are about 11 000 seeds in one gram.